Albacete, the provincial capital that was home to IB Headquarters and whose surrounding villages were home to thousands of volunteers during their preliminary training, is unsurprisingly, one of the places in Spain where a keen interest in the history and the study of the International Brigades has remained vibrant. 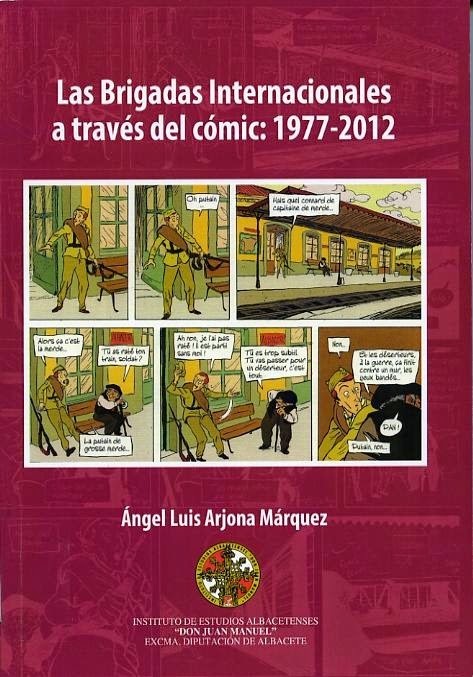 Las Brigadas internacionales a través del cómic: 1977-2012, (The International Brigades through Comic Books), by Ángel Luis Arjona Márquez is the most recent publication from the Instituto de Estudios Albacetenses. The 356-page Spanish language text approaches the subject of the IB through their representation in comic books and is divided into two parts. The first section is mainly concerned with short summaries of the 16 comic books in which the International Brigades or individual volunteers are the main plot focus. Some of the other 37 titles which Arjona has identified include anecdotal references to the IB. The second half of the book is composed of appendices, including a list of over 100 comic books which refer to the IB, the Spanish Civil War or “other related subjects.” Color reproductions of pages from different comics turn out to be a key attractions of the study. Those interested in the Lincoln Brigade history will be pleased to learn that “Robeson in Spain” published in The Volunteer in 2009, is duly mentioned. 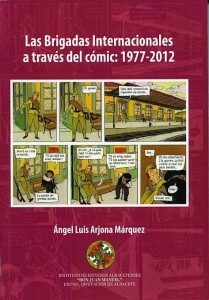 What is described as a mini comic book, “Brigada Lincoln” published in Spain in 2012 is also described in depth. The other works were mainly published in Spain, but also in France, Italy and Belgium.